An oversized fit, cosy ribbed feel and high neck make the Lois Mozart High Neck Jumper the perfect relaxed everyday knit. 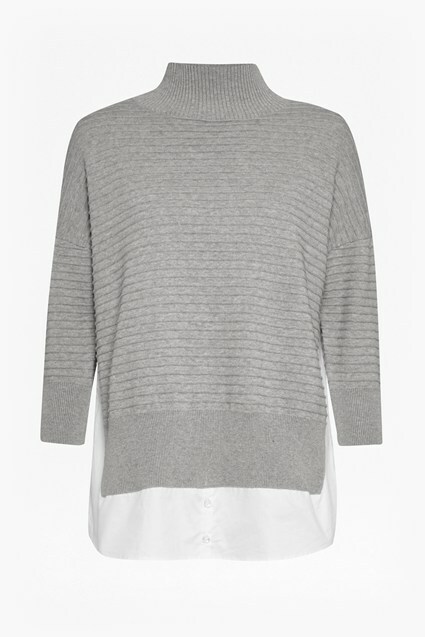 The loose-fitting jumper has a relaxed style, emphasised by the dropped shoulders and short sleeves. The ribbed knit is finished with a subtle laddering across the chest, making for a versatile layer which pairs perfectly with jeans.